Volkswagen's advertising history is among the most distinguished of all brands - yet it might have been for nothing. "We totally screwed up," Michael Horn, Volkswagen’s US chief executive, said last week, admitting that the company had deliberately fitted deceit devices to 11 million of its cars to cheat emissions tests. At the same time, you could feel the collective pain of generations of DDB staffers who, over 55 years, have transformed Hitler’s ugly brainchild into a celebrated brand that this year eclipsed Toyota to became the world’s biggest car-maker. Within days of the apology, VW’s group chief executive, Martin Winterkorn, had quit and nearly 35 per cent – $25 billion – had been wiped off its share price. It is now subject to class actions and criminal investigations the world over. It’s a tale of sheer corporate hubris. The company thought it could cheat the system and get away with it. Instead, VW has potentially obliterated consumer trust. As Mark Borkowski, the founder of Borkowski.do, says: "In this day and age, you can’t get away with obfuscating the truth. What shocks me more than anything else is that VW felt they were powerful enough to get away with it." The debacle has wider implications. VW’s other brands, Audi, Seat and Skoda, are entangled. BMW has been forced to deny similar allegations. Diesel’s environmental credentials are being questioned. Angela Merkel has had to downplay its impact on the German economy. The storm is now engulfing the wider consumer product sector, with Samsung this week forced to deny allegations that it fixed TVs to use less energy when undergoing official tests. After yet another example of corporate wrongdoing, it is little wonder that consumer trust in business has dropped to its lowest levels since 2008, according to Edelman’s 2015 Trust Barometer. And low trust in business means low trust in advertising, as recent Nielsen research has found. In an interview with Campaign before the scandal, Richard Edelman, the global president and chief executive of Edelman (one of four PR agencies providing VW with crisis communications support), spoke about the importance of gaining consumer trust before a brand tries to sell a product. "You need to take consumers through the door of reassurance before you can sell to them," he said. He was right. Good corporate practice is not just something for the CSR department to worry about – it is central to business success. And, as VW has proven, not even the biggest corporations are granted immunity from the repercussions of bad behaviour. 1. 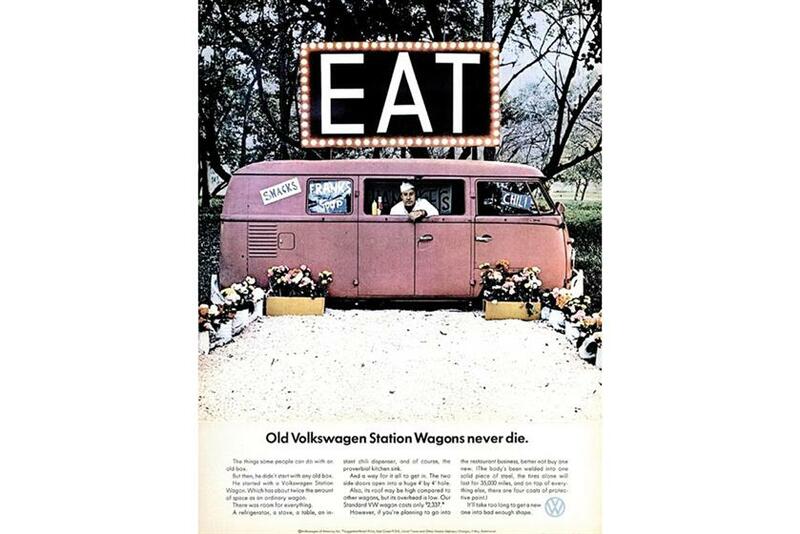 Has VW destroyed its advertising heritage? There is a real sense of anger in adland for what essentially amounts to the destruction of a much-loved campaign. "VW has kicked the ad industry in the teeth," Rooney Carruthers, the creative partner at George & Dragon and co-founder of VCCP, says. "That one device has burst the bubble of that wonderful brand of history. All those great creative ads now look like a comedy show. It’s not a bitter taste that’s left in the mouth – it’s outrage." Indeed, just hours after Winterkorn’s apology, an Audi ad in the US prompted snorts of derision when it featured Kermit the Frog complaining how "it’s not that easy being green"; the brand’s "truth in engineering" tagline looking a mite discordant. Robin Wight, a co-founder of WCRS who worked on BMW’s advertising for 35 years, says: "VW was probably the greatest single campaign in modern advertising, so it’s a huge tragedy that it has been holed beneath the waterline as a brand because of the bean counters. This was a brand where greed for sales clearly overcame all its 55 years of conviction marketing." 2. Has its good reputation helped or hindered? For a company that has built a reputation for honesty, the disconnect between the brand perception and the company’s reality is staggering. Can a brilliant reputation in some way protect the brand in such a situation or does it accentuate the hypocrisy? The betrayal certainly feels worse. As Grey London’s chief executive, Lucy Jameson, who oversaw the VW account while at DDB, says: "VW’s great advertising will be used as a stick to beat them with unless they respond well." But while the punishment will be worse in the short term, the brand’s reputation might partially inoculate it from the long-term effects if it responds appropriately. 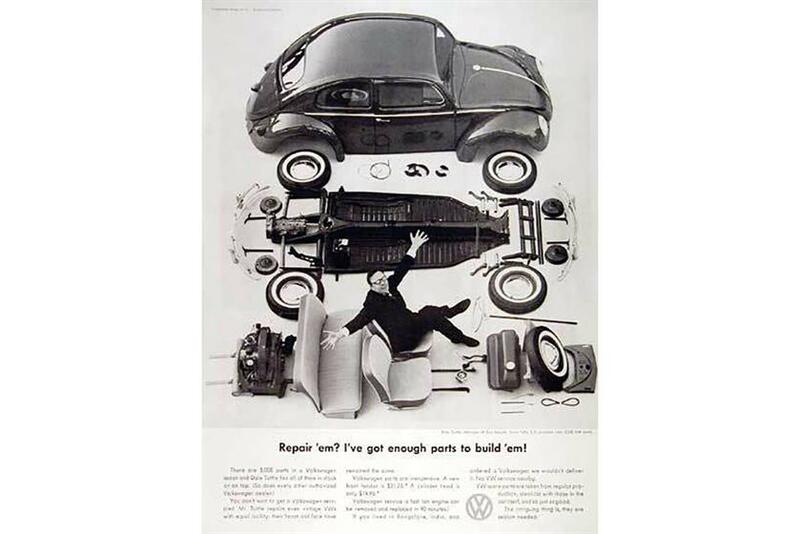 Alfredo Marcantonio, who used to work at VW and co-wrote Remember Those Great Volkswagen Ads?, says: "The image that the advertising has created is of the Beetle as the sensible, friendly member of the family. That depth of lovableness will take some eroding away, so VW is better-equipped to survive. "It has put a bigger blot on their blotting paper than it would for other car manu­facturers. But I don’t think the blot will stain as long as others." Indeed, consumer interest appears to still be high. Page views for VW cars on Pistonheads.com have risen 25 per cent since the scandal broke, and enquires on used cars are up 5 per cent. A good reputation is, after all, one of the most effective forms of insurance a company can buy. As Borkowski quips: "If you were to think about its triumph over extinguishing its Nazi past, it did a pretty good job. It’s too soon to start writing obits for VW now." 3. Can VW advertise its way out of it? VW has put its brand advertising on hold in the UK – and rightly so, Carruthers says: "I don’t think a piece of advertising can ever retrieve it. You need the head of the company to say: ‘I am very sorry, we are cheating bastards.’"
This is not a quick fix. It goes well beyond releasing some good ads. Years of rebuilding lie ahead and only if done transparently can trust be won back. Before the fightback begins, the company needs to wait until it reaches rock bottom – and it is not there yet. "It is likely to get worse, with class-action lawyers, regulators, prosecutors and investigative journalists all about to dig deep," according to Alex Woolfall, a consultant and crisis communications expert who worked with the McLaren Formula One team when it was fined $100 million for possessing secret technical data about Ferrari’s cars. "Expect exposés in the media from ex-employees; for whistleblowers to come forward and every word said about who knew what and when to be dissected and scrutinised for accuracy." What comes out from the investigations will influence how the brand should communicate. "If there was a well-practised intention to deceive consumers and it was widely known about and sanctioned at a senior level, then the brand may need surgery, not just medicine. Consumers will want to see all the bad bits cut out and a third party give it a clean bill of health. Only then might they be willing to trust again," Woolfall says. 4. What should VW do right now? First, the brand needs to open up to the public and reveal all about what happened and why. It has to go beyond the usual protocol: the chief executive leaves with a big payout, the company says sorry and then carries on with business as usual. The response must reflect the seriousness of the crime. Wight says: "I’d run a whole range of 48-sheet posters with the logo and the word ‘sorry’ underneath it. Then I would put up a website that revealed in great detail exactly what happened, the sequence of events and – subject to legal issues – who the people were. "I’d open up the company to investigation by the public. I’d find knowledgeable engineers and make them available to answer e-mails or calls from the public, who could ask any question they like. The first word is ‘sorry’, but that’s not the last word." Second, VW needs to remember its roots and demonstrate evidence of change that puts people above shareholders. Jameson says: "VW needs to go back to its original proposition – making excellent German engineering available to everyone. What they need to do now is show they are changing and doing things that hurt them financially. They need to put the people’s needs above the shareholders’ and be seen to make an obvious sacrifice." That could be offering customers buy-backs, free upgrades or sales promotions. It is also critical that VW responds with humanity and authority, Borkowski says. "The Germans have got to feel human. They have to project a sense of humanity around this. They’ve also got to project a sense of authority and show the business is robust enough to cope with this. Not like BP did when it communicated wild, stupid ideas about plugging the oil leak with golf balls." 5. What’s the lesson for other brands? What this debacle presents is a working example of how critical a company’s reputation is to its bottom line. It is difficult to challenge authority, particularly in an uneven client/agency relationship. But communicators should be emboldened to challenge negative culture, poor decision-making and short-term thinking within organisations. "It’s a great cautionary tale. It shows you shouldn’t be doing something that will damage your reputation because it will impact your share price," Jameson says. It is also a reminder to get the basics right. "Everyone is spending so much time trying to be relevant to millennials. People are throwing out the bath water every day and not checking for babies," Borkowski adds. As with all crises, the response can make or break a company. Borkowski points out that the Chinese word for crisis could also mean opportunity. Those that embrace it can emerge stronger. 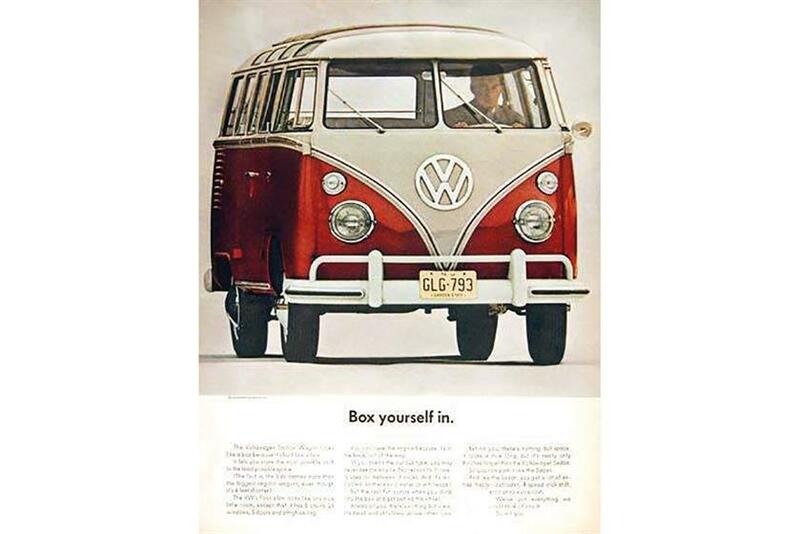 It is fitting that perhaps the best advice for VW comes from the DDB founder Bill Bernbach, who once quipped: "I’ve got a great gimmick. Let’s tell the truth."